I’m a big fan of any action I can take now, one time, that rewards me going forward. Replacing lighting with LED light bulbs is one of those tasks. The price point for LED light bulbs has been lowered drastically over the past couple years, and with several manufacturers competing for the top spot, there is even more downward pressure on the pricing of LED light bulbs. Currently the largest players are Cree, Phillips, and Wal-Mart. Cree offers a 10 year warranty, Phillips is experimenting with design, and Wal-Mart is a price leader. I decided to check out LED light bulbs about 6 months ago when I first heard about the $10 60W Cree bulbs. While browsing at Wal-Mart I noticed the pricing was about 10% of what retail “should” be for most of these bulbs. The 60W great value LED bulbs were $.88, the 40W LED bulbs were $.48, the 40W candelabra bulbs were $1.48 and the 65W flood lights were $4.88. I took the bulbs to the scanner and they rung up as priced. Apparently Wal-Mart is working with the local utility companies to subsidize the cost of LED adoption. In our area the utilities are part of a program called Efficiency United. With this program the utility charges each customer a small percentage of their bill and then uses those funds for its efficiency initiatives. A couple months ago our local Home Depot was selling 40W phillips bulbs at $2 a piece and 60W Cree bulbs at $5 a piece. 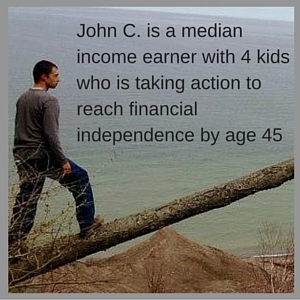 There are other areas that have similar programs. 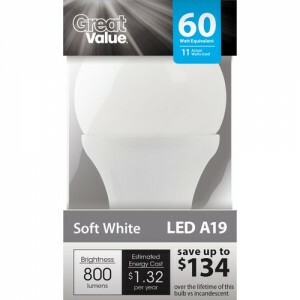 I was just in New Jersey and the Wal-Mart I visited there had the great value LED light bulbs around $2 a piece. Wal-Mart didn’t keep much in stock and it was hit or miss if they had any. Over the last 6 months I have been buying them when they are in stock and have now replaced all of my lights with LED bulbs. Most of the time I stopped by they were out of stock, and when they had some usually it was only a small amount. By replacing all of my light bulbs with LEDs I have noticed a 20% decrease in our electric bill, we achieved this even with already having mostly CFL bulbs in place. With these bulbs advertised to last 20 years, this amounts to a significant chunk of money. Another excellent deal using the Efficiency United program offered by our utility is a $10 rebate on up to 6 LED light bulbs per customer. With there being several 60W replacement bulbs on the market today for under $10, This is essentially providing 6 free LED light bulbs. All of these bulbs have a major issue when it comes to the dimmable versions: They will only work with a digital dimmer switch. If you have a normal dimmer switch these bulbs will flicker. The light quality is better than that of the CFL bulbs. After replacing the bulbs I have noticed my house feels brighter and a major plus is that the bulbs are instantly bright, they do not have to warm up. Most of these bulbs are offered in a soft white and a daylight option. I have not seen the daylight versions marked down to the reduced prices, so I haven’t used any of them. I am most impressed with the 65W flood light. This bulb puts out enough light for our driveway. I thought for sure I was going to have to buy the 90W version, but when I tested it with the 65W the output was significant enough I didn’t have to. Currently I do not own any Cree light bulbs. They are more expensive, but also provide a better warranty. It would be nice to see Cree add candelabra bulbs to its lineup. I did see a Cree bulb on display at our Home Depot, seated in a normal lamp, and the base of the plastic bulb had started melting. Maybe this bulb had been run 24/7 for some time, but seeing this certainly gives me pause about purchasing any Cree bulbs. You may be thinking how did he save that much money if most of his lights were CFL bulbs already? To tell you the truth I was surprised to see that drastic of a reduction, but our electric bill has sustained it for multiple months now, so it isn’t just a fluke of the billing cycle. There isn’t a big different between the 60W CFL and 60W LED ratings, the 60W CFL uses 13W and the 60W LED advertises 11W, but only draws 9.5W. This allowed for a small savings when replacing 60W CFL for 60W LED bulbs. Since these bulbs put out better light than the CFL equivalents, I was able to put some 40W LED bulbs in places where I had 60W CFL bulbs before, mostly in smaller bedrooms and bathrooms. I also replaced 75W CFL bulbs with 60W LED bulbs, these were in my garage and living rooms. The biggest savings came most likely from replacing the few flood lights I had. Our kitchen has a few flood lights, and we have two for an outside motion light. These were incandescent 75W bulbs, which I was able to replace with 12W LED bulbs. By reducing my electric bill by approximately $20 a month, if these bulbs truly last 20 years, I will save around $5,000 over the course of their usage, 100X the price I paid to switch over. That’s got to be a win in anyone’s book. Last month Cree announced that it achieved an efficiency of 300 lumens per watt in LED lighting. To put this in perspective, this is about 5X as efficient as the bulk of LED bulbs on the market today. Most of these LED lights are around 60 to 80 lumens per watt. The newly released 100W Cree bulb has an efficiency of 88 lumens per watt. According to their chart, Cree had reached 131 lumens per watt in 2006. Since we have not hit 131 lumens per watt yet in retail lighting, I would assume we are about 10 years out from seeing these 300 lumen per watt bulbs in the retail market. By the time the bulbs I bought this year run out, the new bulbs will use a trivial amount of power. This, coupled with other efforts in energy efficiency, makes home based solar power and wind power more viable. The dollar savings of upgrading won’t be as high as previous efficiency increases, but the overall cost to run our lights will still decrease. 1. Conduct a lighting audit of your home. Take an inventory of the current bulbs you have and their energy use. Compare these to what a replacement LED bulb would use. 2. Check to see if your local utility offers a subsidy program for LED bulbs. 3. 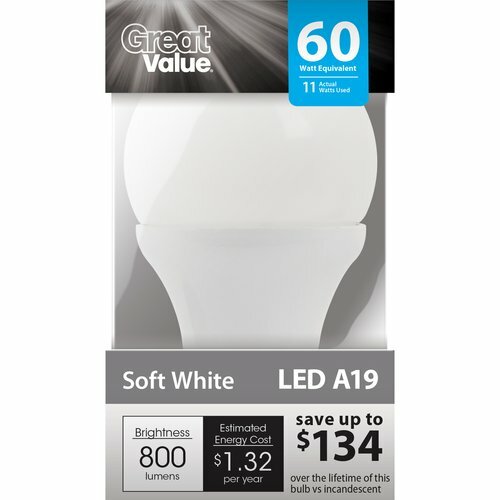 Check your local Wal-Mart and Home Depot for deeply discounted LED bulbs. Consider checking in at these stores when traveling to see if those stores have them discounted as well. 4. Track your electric bill over time to see how much you are saving by switching to LED bulbs. Have you switched any lighting over to LED light bulbs? What has your experience been? UPDATE: 8/29/2015: Amazon now has 4 Packs of Phillips Slim 60W Dimmable LED bulbs for $20, making them $5 each. You can also buy in bulk and save even more, getting 25 for just over $74 making them $3.00 each. They also ship for free with Amazon Prime.